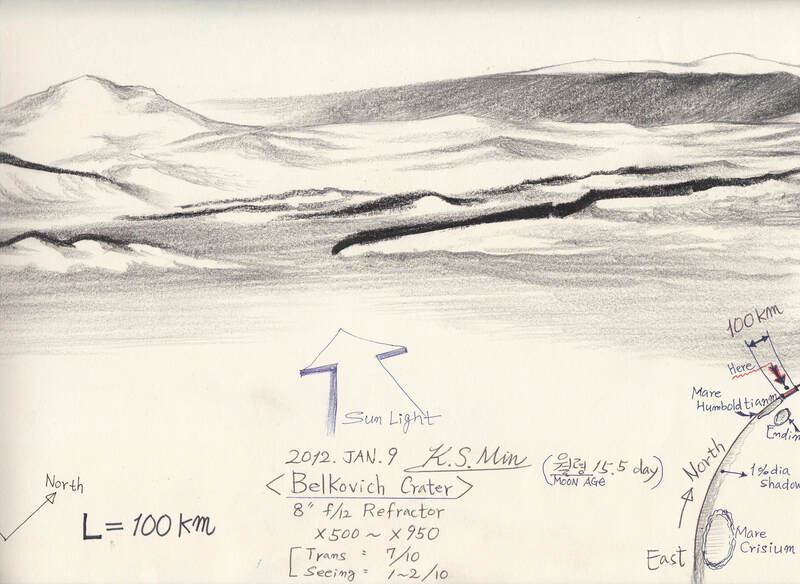 One clear winter night , I observed / sketched the hills, mountains with smooth out-lines on the lunar horizon that looks like one of that of the [Chile] Andes mountains of our own globe earth. With no black ink totch on, instead I rubbed sky-blue pastel color on the background sky. ………. Unfortunately, the original 45×28 cm sketch,s left and upside cut down -out as a A4 size in my home scanner. I like the limb view in this sketch. It is a fine perspective. Here we are lots of good work. Bravo!